There is no questioning the tremendous influence that the Federal Reserve (Fed) has on the financial markets. Even announcements from the Fed that might seem to be innocuous by many market participants can create or destroy billions of dollars in global wealth. The Fed chairman has been described as the second most powerful person in the world – second only to the president of the United States – and many would argue that understates the power of the position. In a Board of Trustees Professor seminar scheduled Tuesday, Sept. 30, Gerald Jensen will highlight the relationship between Fed policy decisions and security market performance. The presentation begins at noon in the Sky Room of the Holmes Student Center. Refreshments are served at 11:30 a.m. No registration is required, and all are welcome. Jensen, the Jones, Diedrich, Mennie Professor of Finance in the NIU College of Business, also will discuss the structure of the Student Managed Portfolio class and how his research on Fed policy is integrated into student learning via the investments practicum course. The Student Managed Portfolio class operates as an investments laboratory, which is managed by Jensen; the course allows students the opportunity to apply their knowledge in making real-world investment decisions. Finally, the presentation will feature major findings that investors will find interesting and useful in designing their own investment strategy. 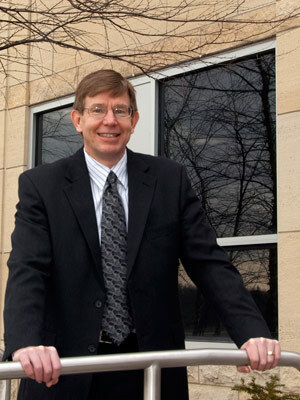 Jensen joined Northern Illinois University in 1987 and was awarded the Board of Trustees Professorship in 2011. He has devoted more than 20 years studying the role that Fed policy plays in the financial markets. A recent article ranks Professor Jensen’s scholarly record in the top 2 percent of finance researchers. He recently contracted with McGraw-Hill to write a book, “Invest with the Fed: Maximizing Portfolio Performance by Following Federal Reserve Policy,” scheduled for publication later this year. Jensen’s seminar is sponsored by the Office of the Provost and the Faculty Development and Instructional Design Center. For more information, call (815) 753-0595 or email facdev@niu.edu.